The IRS could be watching you! If you're one of the roughly one million American citizens living in Canada - the IRS is watching you! Here are common tax traps that people often fall for. You look like, sound like, watch hockey like, and enjoy poutine like every other Canadian - except you're American. If you're a permanent resident or even a U.S. citizen - the IRS continues to have an impact on your financial choices. A mutual fund is simply a collection of stocks, bonds, or other securities owned by a group of investors and managed by a professional investment company. The IRS looks at Canadian Mutual Funds as PFIC's (Passive Foreign Investment Companies) meaning that you could be subject to large and serious tax consequences. This type of fund could cause increased U.S. accounting costs and complexity. PFIC's are a non-U.S. corporation that has at least seventy-five percent of its gross income considered as passive income or at least fifty percent of the company's assets are investments that produce passive income. Passive income is income resulting from cash flow received on a regular basis, requiring minimal to no effort by the recipient. U.S. Gift & Estate Tax is an incredibly important topic for most U.S. citizens! The U.S. estate tax applies to any U.S. citizen wherever they may reside or where they chose to place their assets. 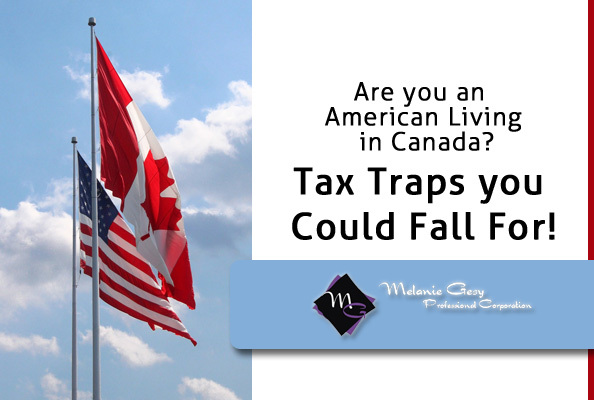 Americans living in Canada are subject to two different tax regimes when they die, no matter where they live at the time. The IRS will impose an estate tax on the market value of all assets owned by the deceased even if that person is living in Canada, and the tax can be very high. The maximum tax rate of forty percent applies on the value of an estate over five point three million. The executor of the estate is liable for the estate tax meaning that if you do not properly plan; your family is left with the burden. These kinds of savings account can cause a lot of trouble for American Citizens living in Canada. The IRS see's RESPs (Registered Education Savings Plans) as trusts, meaning that they are subject to all American tax rules and regulations. TFSAs (Tax-Free Savings Accounts) are not usually seen as trusts which makes them a little less clear. In the end you could end up owing money to the IRS! If you want to avoid complicated annual fillings every year, you may want to avoid these savings accounts all together. A RESP is a way for parents to save money for their children's post-secondary education and the Canadian Government will match the contributions up to $2,500. A TFSA is a way for individuals to set money aside tax-free throughout their lifetime. When an American sells their principal residence in Canada the entire gain is tax free by the CRA, it does not matter the price. Sounds great! What's the catch? When there are no capital gains tax paid to Canada there isn't any foreign tax credits to offset any owing tax in the U.S., ending with you paying a large amount to the IRS. A principal residence is any residential property owned and occupied by you or your spouse/common-low partner or child at any time of the year. For more information on these common tax traps, take a look at this article from The Globe and Mail. Melanie Gesy Professional Corp. is here to help! Call 780-995-5236 today.